Good morning and welcome to Summit Up, the world’s only daily column that is thinking about homecoming. The big dance for Summit High is this weekend, and once again – even though two of the Summit Up Central Staffers are SHS grads – we have not received our invitation to “come home,” as it were. Isn’t that what homecoming is supposed to be all about – inviting the alumni back for, y’know, whatever? SU: OK, well, it’s just as well. We really wouldn’t know what to do if they invited us other than stand around looking stupid and awkward. And since we now have kids in high school, they’d be over in the corner praying for some kind of gamma ray that would beam us the hell outta there. But the main point we wanted to make today about homecome is this: We have our first-ever homecoming date asking occurence! Which is to say that a young man would like to ask a young lady to go to the dance, and he chose the Summit Up forum to do so – which in our mind is just as impactful as hiring a sky-writer. Anyway, here goes: Stale Norman would like to ask if Jenna Rogers would go with him to the Summit HS Homecoming Dance. Let us know how it goes, Stale. 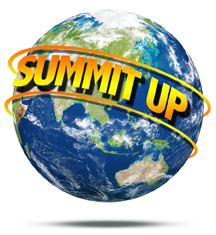 In the meantime, if any of you other SHS kids would like to employ SU to do the sometimes difficult work of asking a girl to the dance, e-mail us at summitup@summitdaily.com. We’ll be your e-Harmony. We agree. No matter who you’re supporting in the upcoming election, don’t be messin’ with anyone’s signs! That’s lame. “Business brought me to Boulder this week, so I was able to follow the wildfire online as well as first-hand. I worried about my family’s ancestral home through early reports, but a view from the top of Flagstaff showed our house on the third knob (fourth ridge) was far from the seventh ridge fire. Valiant firefighting efforts Thursday night is all that kept Pine Brook Hills and Boulder Heightsfrom burning in the 65-mph winds. Heroic. Patrick adds that, if you want to help, contact the American Red Cross: http://www.ColoradoRedCross.org/donate. Or you can call (303) 722-7474 OR Text REDCROSS to 90999 to make a $10 donation from your phone bill.